South Africa will need to spend more than R1trn in the next 11 years to grow the country's energy production capacity, according to Minister of Energy Jeff Radebe. Radebe was speaking at the DLO Africa Power Roundtable on Tuesday in Johannesburg. The roundtable brings together government officials, investors and stakeholders in Africa's energy sector to encourage investment. "It is clear that Eskom alone cannot meet our power capacity requirements, because we estimate that the capacity extension under the IRP (integrated resource plan) will cost in excess of R1trn in the period up to 2030, including the new power plants, plus the requisite transmission and distribution infrastructure," said Radebe. The minister, speaking in the context of load shedding at Eskom and the difficulties the debt-laden power utility is experiencing in securing funding for new power stations, said municipalities should be encouraged to get their old or non-functioning power stations working again. "Some municipalities, particularly Metros, have old power stations that are currently in various levels of capability to generate electricity. "[The stations]… represent an opportunity for municipalities to increase revenues at the same time as improving the country’s electricity system reserve margin," he said. Radebe said that the amendment of Schedule 2 of the Electricity Regulation Act is intended to enable municipal and distributed generation. The minister said the country's energy blueprint, the Integrated Resource Plan, was currently before the National Economic Development and Labour Council. 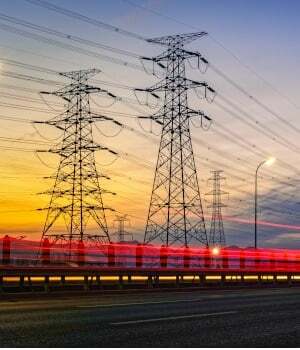 "Cabinet approval of the IRP for South Africa will define a tangible plan for energy security that also secures the participation of Independent Power Producers side by side with Eskom and municipalities."